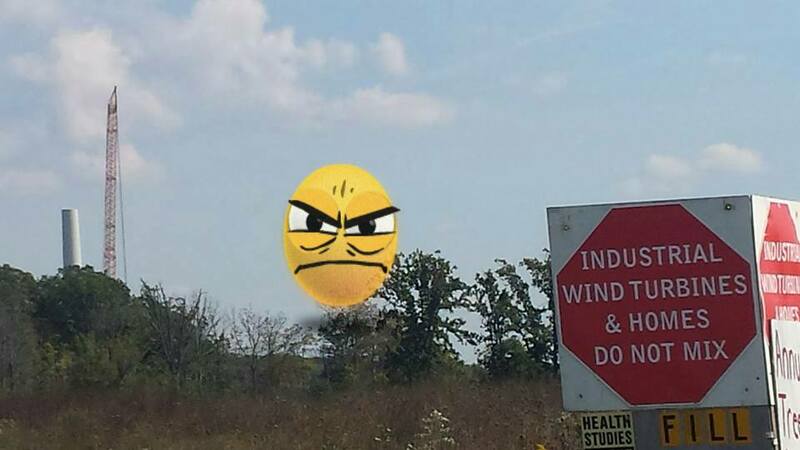 September | 2015 | Mothers Against Wind Turbines Inc. Bit by bit the Green Energy Act is unravelling. Social media lit up. Suddenly, if you were anywhere near Ostitional Beach in Costa Rica earlier this month, you had to get down to the shoreline to observe an amazing natural phenomenon. Hundreds of thousands of olive ridley turtles were crawling out of the ocean to lay their eggs in the sand. Soon, vacationers and daytrippers lined the beach. So many in fact, there was little space left for the turtles. Gleeful tourists waded into the surf to frollick among the landing party of large turtles. They snapped selfies and filled Facebook pages with images of the determined, purposeful animals. But with virtually all of the sandy beach occupied by gawkers and pests, many of the turtles turned back, retreating into the Pacific Ocean. The incident has served to chasten Costa Rican conservation authorities about their stewardship of the vulnerable species. They are acting swiftly to improve their protection for the animal. Another wave of turtles is expected in early October. The Tempisque Conservation Area, which covers Ostitional Beach, plans to use security guards, police and the Coast Guard to secure the shoreline for the nesting turtles. It is unknown what long term effect, if any, the disruption of olive ridley turtles nesting behaviour will have on the species. We are a bit less queasy about destroying the habitat of vulnerable turtles in Ontario. Despite warnings by its own expert that an industrial wind project would wreak havoc on a species considered at risk, Ontario’s Minstry of Natural Resources and Forestry issued the developer a permit to ‘harm, harass and kill’ the Blanding’s turtle. The question we all must ask is: Why? Why does the Ontario government consider this vulnerable turtle to be expendable? Is it money? Can’t we afford to protect species at risk in this province? Costa Ricans earn about $10,000 per capita annually. 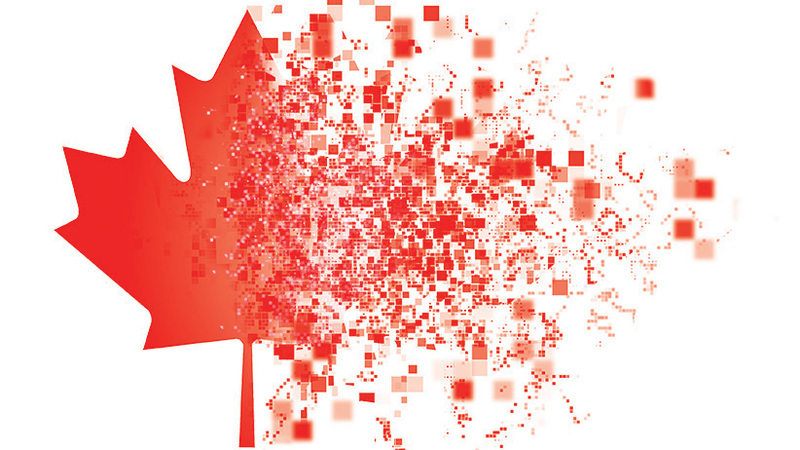 In Canada, gross national income is about five times greater. Why is Costa Rica poised to act to protect its species at risk, while Ontario grants permits to kill them? The town hall in Demorestville was expected to be full this morning as the Environmental Review Tribunal was scheduled to resume with Joe Crowley in the witness chair. On Tuesday the hearings were cancelled and rescheduled for the end of October. 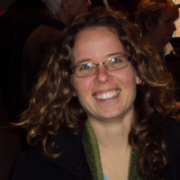 Crowley is an at-risk specialist with the MNRF. He is the ministry’s turtle and snake expert. The Tribunal was nearing the end of a two-year-long appeal with the Prince Edward County Field Naturalists (PECFN), a small but devoted group of conservationists arrayed against the province and a developer hoping to construct nine 50- storey-high industrial wind turbines and carve a road network into a rare alvar habitat on Crown land at Ostrander Point on Prince Edward County’s south shore. Sadly, permits to “harm, harass and kill” endangered species are being granted to developers by Ministry of Natural Resources and Forestry — all in the name of promoting renewable energy projects. All in the name of progress. 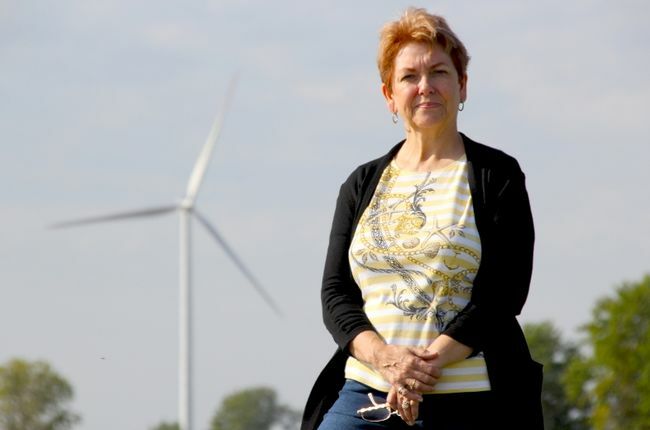 Konc says she’s tired of waiting for provincial government discussions with Ontario residents on wind turbines, and feels the matter is falling of the media’s radar as to how safe — or not safe — they are. Do Wind Turbines Lower Property Values? A key point of contention against wind (and solar) farms is that they require much larger amounts of land to generate the same amount of electricity, an important downgrade of their “greenness” that goes conveniently ignored. Wind power is naturally intermittent, and plants typically operate at about 25% of full capacity, compared to coal and natural gas plants operating at 90%. Thus, it can take 4-5 wind plants to produce the same amount of electricity as a single fossil fuel plant. The U.S. Department of Energy has concluded that generating 20% of electricity (which is likely the highest we could go, see here) with land-based wind installations would demand at least 20,000 square miles, or the size of Maryland and Vermont combined. By comparison, all U.S. nuclear power plants, which produce around 20% of power, occupy only 110 square miles. The main reason industrial wind farms take up so much land is that each turbine can be spaced a half mile or more apart. And bigger, taller, and more spaced apart turbines are better because they can generate more electricity. Standing 650 tall (200 meters), these giant wind turbines dwarf nearby buildings. Along with the complexity of siting, this explains why getting wind farms built is much harder in real life than in the Sierra Club’s mind. When told that his small Prairie town had, in profound ways, fallen off the statistical map of Canada, Walter Streelasky, mayor of Melville, Sask., is incredulous. Streelasky had no idea Melville had been rendered a “statistical ghost town” after the mandatory long-form census was cut in 2010, and fewer than 50 per cent of Melville’s 4,500 residents completed the voluntary National Household Survey that replaced it in the 2011 census. Melville still exists—but as a shadow. We know how many people live there, but nothing about them—where they work, their education levels, whether they’re married, single or divorced, how many are immigrants, how many are unemployed, how many live in poverty. Melville’s numbers, then, aren’t factored into Canadian employment numbers or divorce rates or poverty rates. According to Sask Trends Monitor, the high non-response rate in the province resulted in “no socioeconomic statistics about the populations in about one-half of Saskatchewan communities.” Nationally, we’re missing similar data on 20 per cent of StatsCan’s 4,556 “census subdivisions,” making a fifth of Canada’s recognized communities statistical dead zones. Kincardine council has approved spending over $60,000 to get a “before and after” report when it comes to noise and infrasound issues created by wind turbines. CAO Murray Clarke tells Bayshore Broadcasting News Swallow Acoustics Consultants of Mississauga will undertake a study of infrasound levels while also studying current wind turbine installations in Kincardine. Clarke says the consultants will determine benchmark background levels of audible sound and then set benchmarks for the upcoming Armow project, being developed by Samsung and Pattern Energy. He says once the Armow project is up and running in 2016, and if council approves, they’ll revisit the area to see what difference, if any, is detected in audible and infrasound levels. Clarke says the consultants will get to work on the study almost immediately with a final report in councillors’ hands expected by the end of October. Pattern and Samsung Energy plan to have 90-plus turbines in the Armow area with most in operation by 2016. Acoustics engineers are set to begin sound level testing in the area of the Armow Wind Project. The Municipality of Kincardine council gave staff the green light to hire Swallow Acoustics Consultants Ltd., based in Mississauga, to do the work before construction on the wind energy project is complete and the turbines become operational. Engineers will perform baseline acoustic sound and infrasound testing on five properties within the boundaries of the wind farm. CAO Murray Clarke said municipal staff heard from several interested companies after issuing a Request for Proposals (RFP) to do the sound testing, including one from Edinburgh, Scotland. Some companies were taken out of the running because of their affiliation with wind energy companies including those operating in this region. In the end, the municipality received three submissions, including Swallow Acoustics, which presented a cost of $60,300 for the work, to be completed in the span of a week. The lowest bidding firm, Valcoustics Canada Ltd., which submitted a quote for $41,400, was excluded because it has an ongoing relationship with Enbridge doing consulting work for its wind energy developments, including its project in Underwood. The third company, Sound and Vibration Solutions Canada Inc., submitted a bid for $87,500. Though it presented an impressive proposal, Clarke said, it did not clearly respond to the terms of reference the municipality had set out for the project. The municipality wants a critical analysis of the determination by SP Armow Wind that the project is categorized as a Class 3 Area for noise levels under the province’s Noise Guidelines for Wind Farms. It also wants to establish typical baseline receptor infrasound levels inside homes within the wind project boundaries and interpret the data collected from the field investigations and compare it to current academic research on the potential impacts of infrasound, provide conclusions and possible mitigation measures. “Swallow has had experience in the infrasound environment and in Alberta developing infrasound acoustics regulations for the Alberta government,” Clarke told council.